mingmeiyip.com If you buy from this site, you will get an autographed copy. If you buy 2 or more copies (They make great gifts! 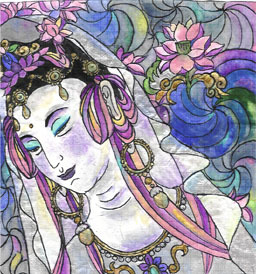 Gift wrap available, please specify), you can choose one of the following free gifts: an original print of Mingmei’s Chinese Goddess painting or a CD of Mingmei‘s qin playing and singing.